These are super yummy and just the right portion. 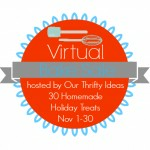 They are great for gifting, having out on a buffet, or taking to a real life bake sale. 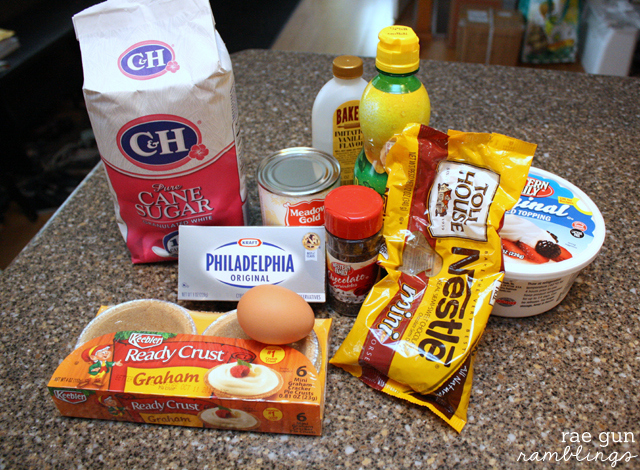 Add egg and most of the chocolate chips and mix on low unitl fully incorporated but no more (you don’t want to over mix it). 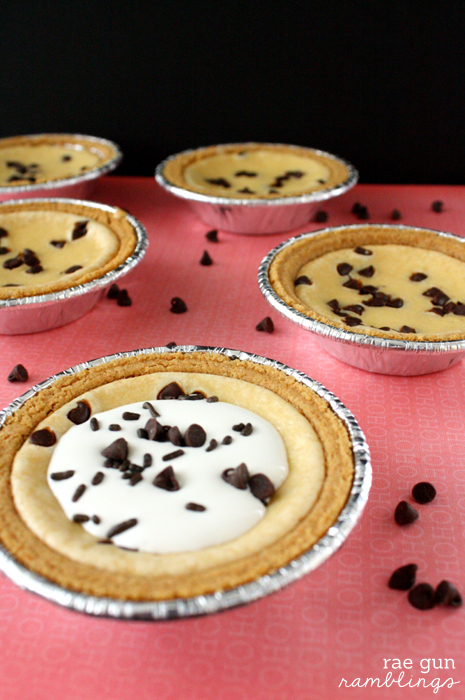 Save some chocolate chips for topping if you want. Bake at 285 for 20-30 minutes with steam. To back with steam put a ovenproof dish with water in the oven while it’s preheating and leave in there while you bake. The cheesecake is done when the outside is set and the center is still giggly. 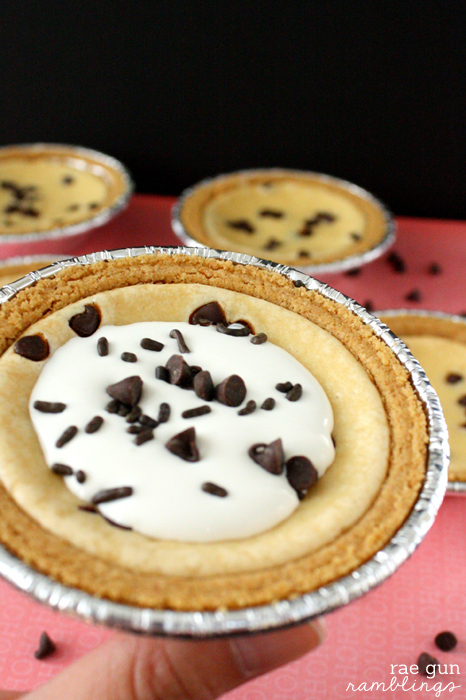 Top with whipped cream or cool whip and mini chocolate chips if desired. 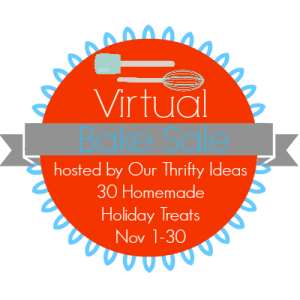 Also be sure to check out all the other delicious recipes that are apart of the Virtual Bake Sale. We’re only a few days in but there will be new tasty treats added every day! These look incredible! Pinned so I can try later. These look so amazing. Thanks so much for sharing them as part of the Bake Sale. 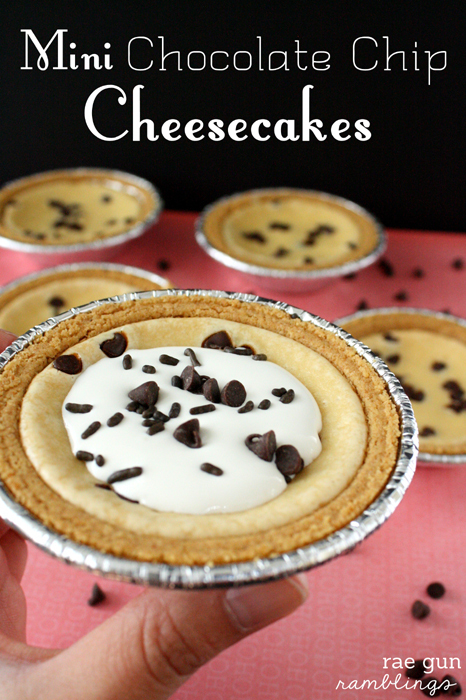 I think i’m needed some cheesecake for dessert tonight! These are SO cute and look really good! I love all things mini!